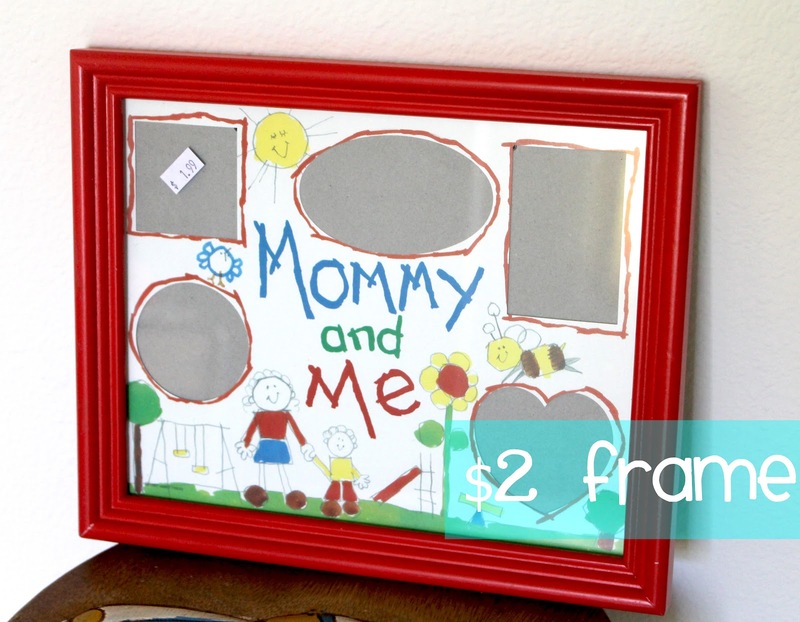 What I used: frame, fabric scraps, ribbon, vinyl/stickers, scrapbook paper. That's it! 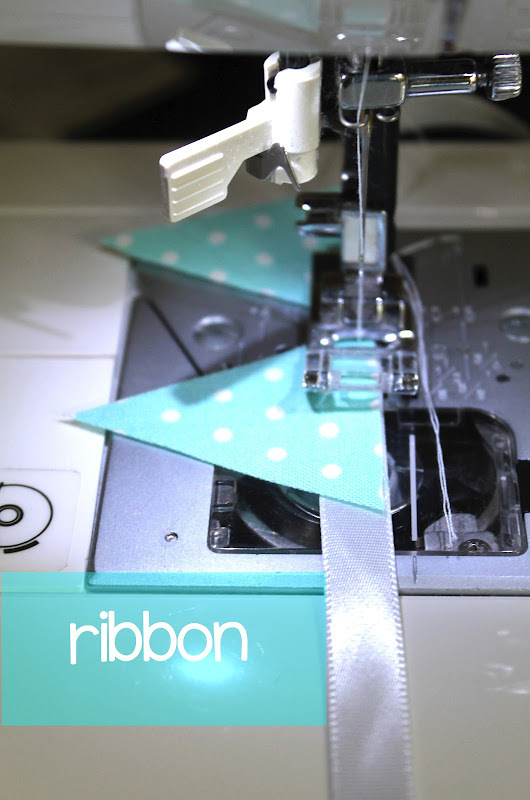 Next, sew your triangles to your piece of ribbon. 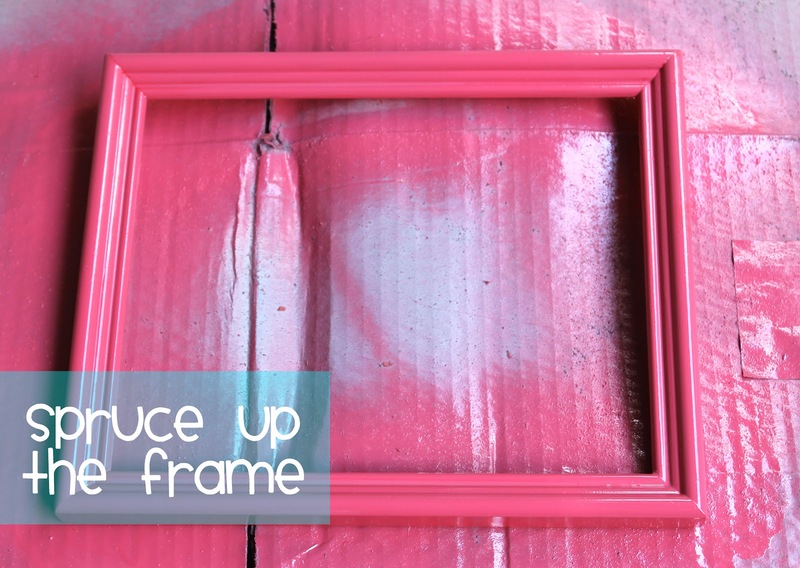 I spruced up my frame, since it was red. But this is totally optional. 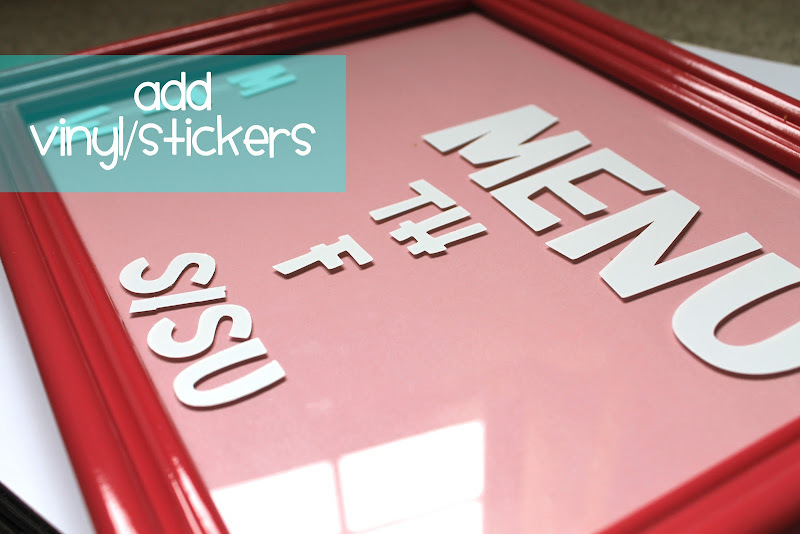 I cut my letters out with my Cricut but you could totally just use stickers. I also threw a piece of scrapbook paper behind the glass. I wouldn't recommend anything too busy or dark. Lastly, glue on your fabric banner you made earlier. There you have it! 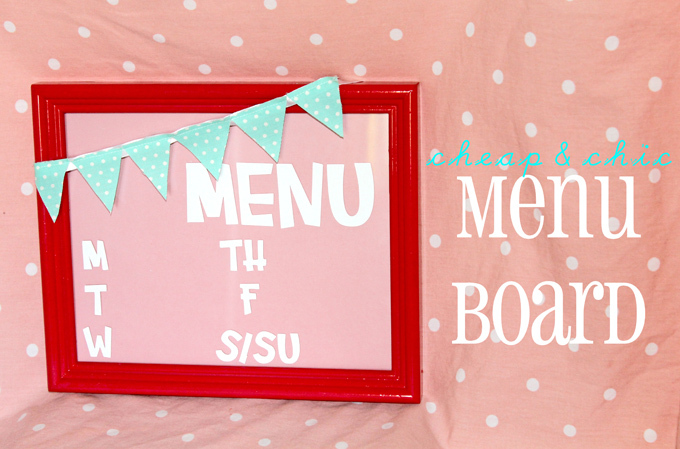 Now go plan out your menu! This is so cute! I love the bunting on the top. I would love if you would share this and any other posts at Showcase Your Talent Thursday http://whatscookinglove.blogspot.com/2012/07/showcase-your-talent-thursday-14.html. I hope to see you there! 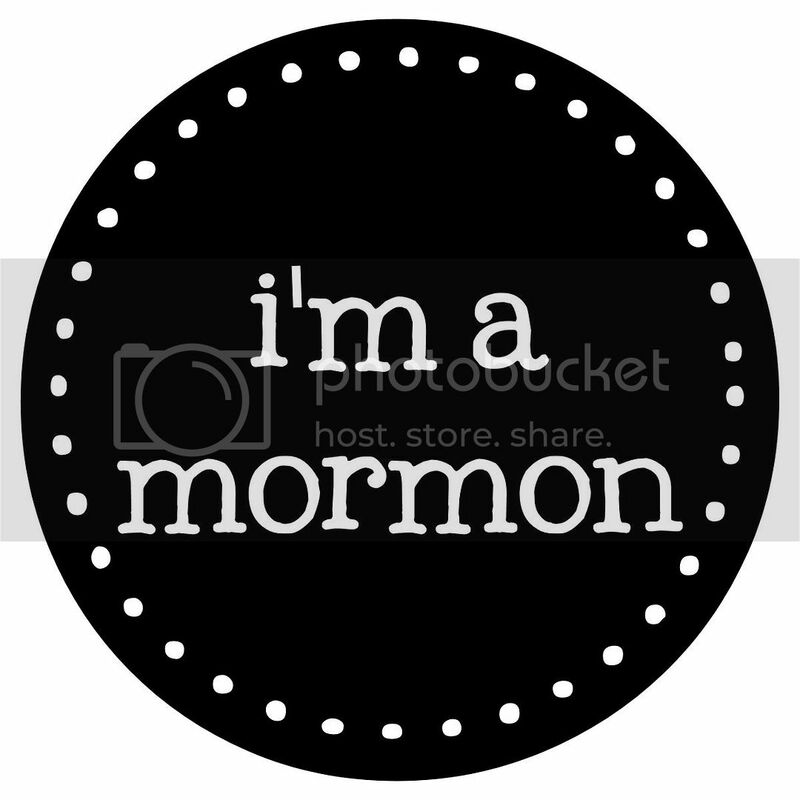 Hi Kathryn, I'm visiting via the red, white, and you blog hop. I love your little blog. 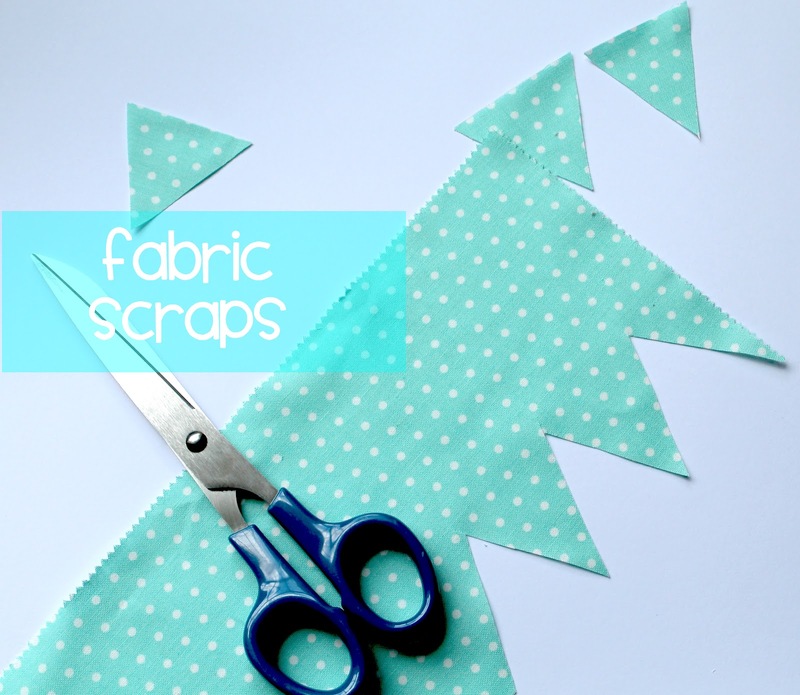 I love crafts and I'm always looking for cheap and pretty ways to create useful things to make life easier. 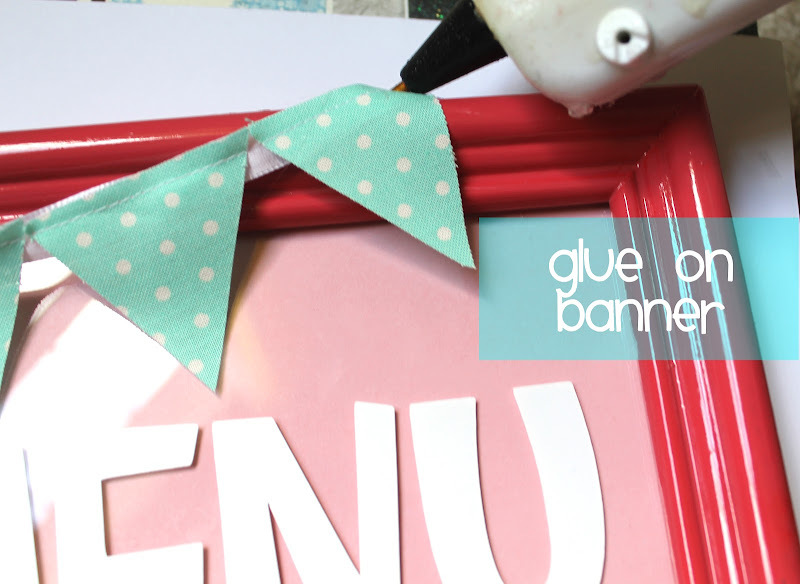 This blog post is a great idea! Thanks for sharing and have a great day! 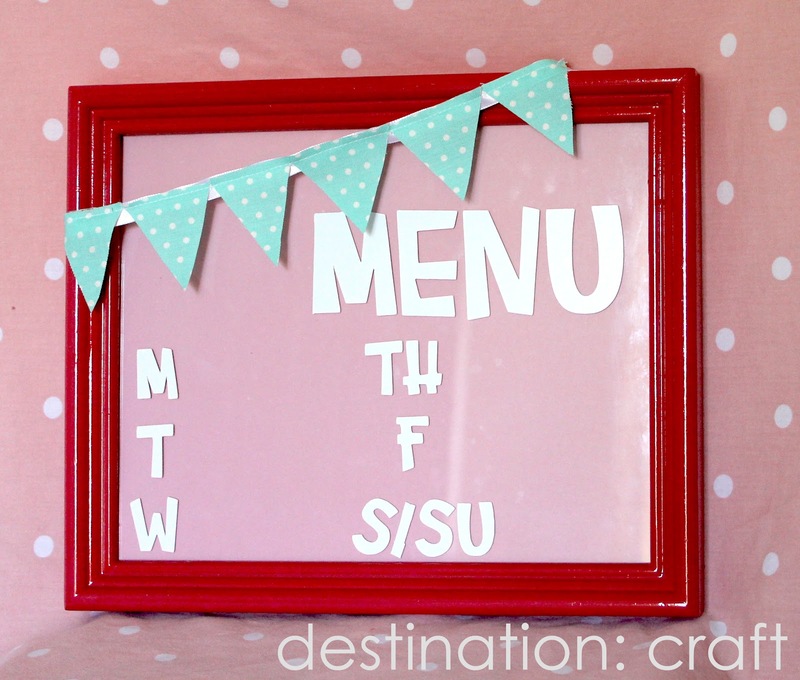 Welcome to Destination: Craft! 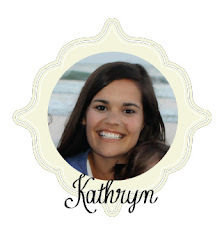 I'm Kathryn & I'm the heart behind this blog. I love creating and being inspired by others. Feel free to check out my blog & hopefully YOU'LL be inspired, too! This blog is a personal blog written and edited by me. For questions about this blog, please contact Kathryn Pepper (destinationcraft at gmail dot com).